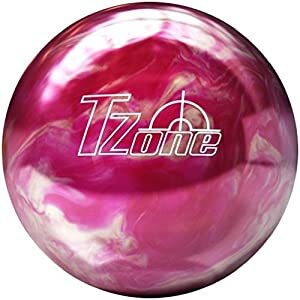 Best Bowling Ball for Women Review: Top On The Market in 2019! As a bowler, your choice of bowling ball affects how well you can play and therefore your chances of winning. You need to have a bowling ball that feels comfortable in your hands and one that is suitable for you weight-wise. The bowling ball is the key to a win as it interacts with different elements such as you, the pins, the lanes and the oil pattern. 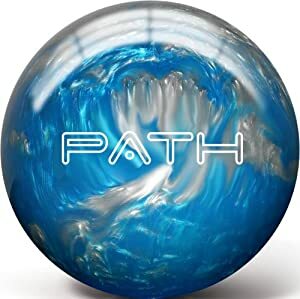 When people think of the most crucial factors in this game, they immediately think of the bowling ball because no matter how good you are at the game, it is the most significant determinant. You have probably seen a good player miss shots that they could easily have managed if they had been using their usual bowling ball. As such, you need to understand how a bowling ball works so that you can choose one that is right for you. Understanding the workings of a bowling ball helps you use that knowledge to your advantage when playing in the alley. When the game of bowling first begun, the bowling balls were spherical in nature and got used for all kinds of conditions over a span of several years. As time went on, manufacturers came up with other designs suited for various environments. As such, you can find that one range of bowling balls comprises of more than ten choices which all serve different purposes. Bowlers no longer rely on one bowling ball to hit the target and are now looking at other options. They also change the balls out fast. Being in the know helps you get a ball which will have your name on the scoreboard in no time, with the necessary skills in tow of course. What kind of a bowler are you? You need to consider how you play such as are you a straight bowler with less revolution or are you a cranker bowler with more revolution? Does your speed match your revolution rate? How you play affects the kind of bowling ball you should choose because you need one that can match your style. For best results, straight bowlers should go for smooth, arcing, control balls which have a solid cover stock. Bowlers with high revolution should opt for long and robust bowling balls. We have now entered another era of bowling where manufacturers provide different bowling balls for different environments. If you walk into a game armed with a bowling ball that is not suited for the lane conditions, you will have a hard time keeping up with bowlers who did their research and shopped accordingly. Lane conditions include oily, dry and medium and the kind of lane dictates the suitable bowling ball for the game. Also to add when making your decision is the kind of oil pattern in use. Surfaces come in different forms ranging from synthetic lanes all the way to old wood, and they affect how well your bowling ball can perform on them. Suppose you will be bowling on a wooden lane, you must take into consideration the kind of finish used on the surface. It is water-based or is it epoxy urethane? The way to tell the difference between the two is by looking at how glossy the finish is. An epoxy urethane finish will be shiny and will appear harder when compared to a lane whose finish is water-based. You can also skip the examination altogether and ask the lane man at the bowling arena. Synthetic lanes fall into two categories: Pro Anvilane by Brunswick or HPL by AMF Bowling. When it comes to finishes, wooden ones are softer when compared to synthetic types. The upside to synthetic lanes is that they maintain their conditions throughout the game unlike in the case of wooden bowling lanes where the conditioner soaks in. Many of the new bowling balls on the market undergo testing phases on synthetic surfaces to test their suitability for different conditions. With the growth of bowling as a game, many manufacturers have come up with several designs for use in the alley. When shopping for a ball, always remember that the smoother the surface of the ball, the more control you have over it. A bowling bowl with a shiny surface translates to a snappy or long and robust play while a dull-looking ball offers consistency. Shiny surfaced bowling balls also tend to be erratic and depending on the kind of player that you are, this could work in your favor. We have three main designs on the market today, and each comes with its advantages. We have the asymmetrical types, the two-piece symmetrical designs, and the three-piece designs. The three-piece kind comes cheap when compared to the others and is an excellent choice for you if you are new in the game. The two-piece designs have a massive center, an early roll, and a smooth reaction. The asymmetrical bowling balls are the best kind for advanced bowlers as you can match your speed to the revolution rate, thus enhancing your chance of success. By now, you are probably down to a handful of bowling balls if you have been crossing and checking while the list continued. It all comes down to the weight, and if you make the wrong choice, you will undo all the right moves you made in the previous steps. For bowlers under the age of fifteen, the weight of the ball should match their age. For example, an eight-year-old bowler should use a bowling ball which weighs eight pounds. For bowlers over the age of fifteen, you should choose a ball based on how comfortable you are with the weight. The most crucial factor to consider when it comes to the pressure is whether you can handle it throughout the game. I would advise anyone hoping to save some bucks to do their shopping online. You will find that many sports stores are offering what you have at exorbitant prices for the same quality as that online. Get the ball online at a lower price and get a local shop to drill the holes. In the end, you will have saved some cash which you can invest in another bowling ball in the future. These guidelines are the most basic steps to take when choosing a bowling ball. There are many other factors that you can take into consideration if you wish, based on your personal preferences. Let’s get on with the best bowling balls for women in 2018. What makes this ball rank top in the best bowling balls for women? Well, Brunswick came up with this bowling ball and introduced it into the market as an entry-level performance ball. This series makes use of an R-16 Reactive cover-stock with a light bulb core design. It has a low differential of 0.030”. It has five color schemes and is excellent for any bowler who is new to the game or one who is not looking for a big hooking ball. The ball gives you control and power over it, and the good thing is that it does not react to dry or oily sections extremely. This bowling ball falls in the category of the top 5 bowling bowls in the market. For beginners, as well as recreational bowlers, who are in search of a bowling bowl that offers precision at low costs, this is it. This bowling ball provides versatility in both appearance and weight. You can purchase it when new without holes, thus saving you money and get the finger holes made to fit your grip. Its features include a high gloss polish finish, weights ranging from six to sixteen pounds, a polyester cover stock and it comes with a wide range of colors. For an affordable fee, you get to have a custom bowling ball. For cool bowling balls that serve all ages, Pyramid Path Bowling Ball is the go-to. It works well for beginners who often have a hard time finding a ball suitable for their skills. The good thing about this bowling ball is that people of all ages can use it and as such, you can get one for your entire family. It comes in nine colors which all have different designs. Weights range from six to sixteen pounds. The ball works well in different conditions and can help you move from being a stroker to a two-handed bowler. Columbia 300’s White Dots is one of the best bowling ball brands, and they are at it again with the White Dot Bowling Ball- Blue/Black/Silver. They have produced balls for more than four decades, and over time, they have forged ways to generate bowling balls that are versatile. This bowling ball comes in three exciting colors and is suitable for children, spare shooting as well as beginners. When it comes to high-quality bowling balls at low prices, nobody beats the Dot. 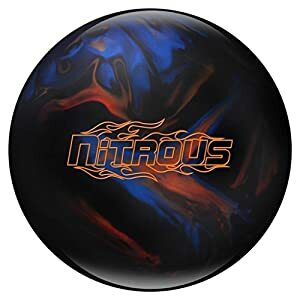 The Columbia 300 Nitrous Bowling Ball is one of the most reactive bowling balls in the industry today. This bowling ball, made of a nitrous core, is very sturdy and its Boost/R reactive resin cover-stock complements it. It comes with a 2000 Abralon Polish finish which not only makes it attractive but also enables it to glide with ease on medium lane conditions. Its speed on the lane is excellent, and it does not chip as the cover-stock lasts for long, thus saving you money. Over time you can perfect the hook which would help you strike well. The frosting on this cake is that it comes cheap. Most bowling balls under $100 can be very disappointing on the alley but not this one. Available in the colors, blue and dark blue, this symmetrically designed bowling balls come with a variety of drilling options. It works great on medium to dry bowling lanes and comes with a polished factory finish for added length. For people getting into the game of bowling, this would be a great place to start. It comes to you new and undrilled, enabling you to get the finger holes made in a way that they match your grip. 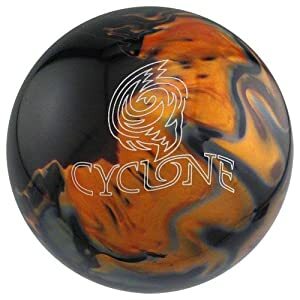 The Ebonite Cyclone Bowling Ball comes from one of the best bowling ball brands in the market and is excellent for entry-level players who are looking to improve their skills. It comes in attractive colors. For straight throwers who wish to learn how to curve, this ball will wow you. It can aid you in getting that hook you need at the end so that you can have fantastic pin action. 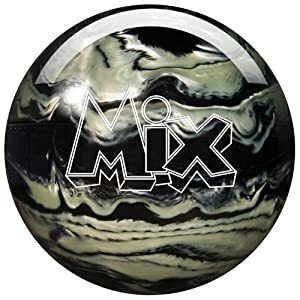 The Storm Mix Urethane Bowling Ball can get classified as the most robust bowling ball on the market without a sense of bias. It comes with a U1S Pearl Urethane cover-stock which when combined with a 3-piece core make a killer combination that will knock the pins down faster and easier than you have seen before. In addition to a great sense of control and strength, the ball comes with different attractive color schemes. It is a fantastic strike ball and works best in dry conditions. 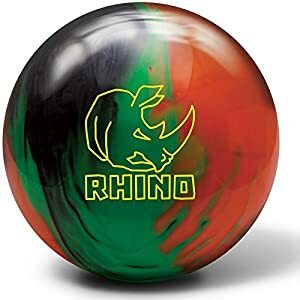 Getting that hook at the end can be pretty amazing and getting the Roto Grip Wreck Em Bowling Ball assures you that you are in possession of the ball with the most hook potential out of all others on the alley. 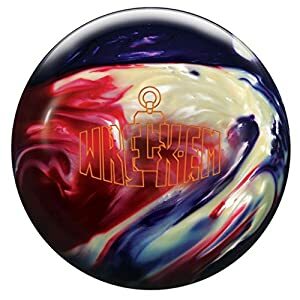 The Wrecker bowling bowl is quite popular, and the Roto Grip Wreck Em Bowling Ball aims at continuing the immense success enjoyed by the wrecker. It comes with a neutron core which provides length and a strong reaction. 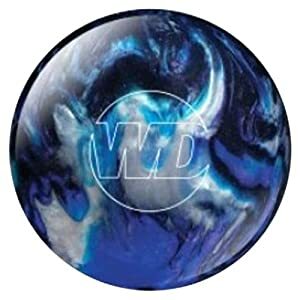 The bowling ball comes in a factory polish finish that makes it great for use in medium/ light oil conditions. What’s more, it is affordable. 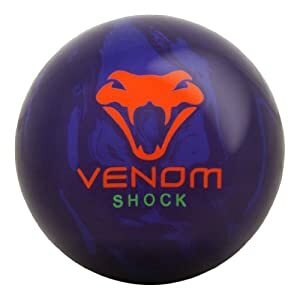 And finally in our top 10 bowling balls for women in 2019 is the Motiv Venom Shock Bowling Ball. 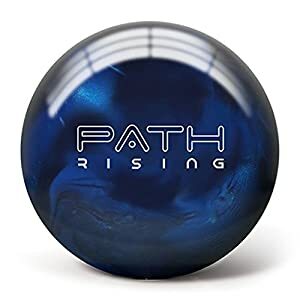 Available at an affordable price, this bowling ball combines the Turmoil MFS Reactive cover-stock with a gear weight block to produce a smooth motion that keeps going through the pins. With this bowling ball, you can easily play in light/ medium oil conditions, producing surprising results in the end. All the bowling balls in my list come cheap and are great for both beginners as well as seasoned players, thus making them versatile. Be sure to make a pick based on the factors I mentioned earlier to ensure that you invest your money wisely.